Ben Bernanke is stepping up his social media game. Bernanke, who led the Federal Reserve through the recession, launched his economics blog with the Brookings Institution Monday. Now, since he is no longer controlling U.S. monetary policy, he's free to make his remarks without the burden of everyone on Wall Street meticulously examining his words. "I can once more comment on economic and financial issues without my words being put under the microscope by Fed watchers," Bernanke wrote in his inaugural post. His influence is still huge, however. After just two tweets, Bernanke's account, @benbernanke, has over 11,200 followers. Many reports say Bernanke fetches $250,000 or more for a speech these days. It's an interesting time to start publishing his opinions and tweets: The Fed's committee could raise interest rates in June for the first time in almost a decade -- a move that has big implications for millions of Americans. Bernanke stepped down as chair of the Federal Reserve only 14 months ago after his hand-picked successor, Janet Yellen, took the reins. Bernanke could still break news even though he's left the central bank. He and Yellen are known to be close. Of course, it's highly unlikely that Bernanke would pre-empt anything that Yellen may have to say about the economy. 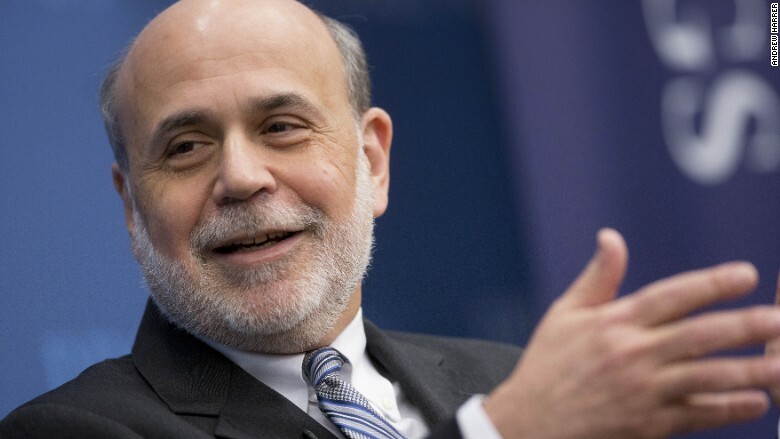 The blog could just be a public relations stunt -- Bernanke has a book coming out in the fall. But his posts and tweets could make markets move later this year. When Yellen announced the Fed would remove the word 'patient' from its statement two weeks ago -- but raise rates at a slow pace -- the markets rallied. When Bernanke announced the Fed would start to unwind its stimulus program in 2013, emerging markets tanked 16% in six weeks.